I do not hate dogs. I have been accused of this, but it is simply not true. I enjoyed dogs growing up. I even blogged about one of my favorites. What I do not care for are dogs in my house. So in that regard I am a non-dog-in-the-house guy. And herein lies the rub. Non-dog-in-the-house guys are now the new smokers. We are not held in very high regard. Somewhere they are building little rooms for us to huddle in–separated from the majority–lest we spread our offensive attitudes. Perhaps legislators are considering slapping warning labels on us. In our crazy-for-canine culture we are dinosaurs. Well, maybe it is not quite like that, but sometimes it feels that way–especially since almost everyone on both sides of my family now has one or more of the little (or not-so-little) critters running around in their homes. I feel the pressure. My girls do not understand why we don’t have dogs sharing our couches with us. My wife (who grew up with house dogs) and I have formed sort of a treaty of non-aggression on the issue, although I know in her heart that she would love to hear the pity-pat sounds of little paws dashing across our floors. How did I get to this place? Early childhood trauma. As mentioned, growing up I was surrounded by dogs–all outside. I fondly recall another of my favorites named, Inky. Yep, he was jet black and fun to play with in the yard. My first experience with inside dogs came at a friend’s house. They had this small terror of a mutt who would growl and bite at your pant legs as you walked through the house. I despised that dog and am sure that from somewhere deep within me arose the resolve to never, ever let a mutt like that rule my household. It is about the furniture. When the furniture meets dog, furniture usually looses. I do not like to be licked. It is not cute. It is not fun. It is not sweet. Poop. Need I say more on this? If you are a dog lover; a dog-in-the-house person; I hope this post is not offensive to you. I respect your right to have all the puppies you desire. When I come to your home I will not complain. I will pet your pooch. I will adjust and enjoy our visit. Likely, I will not think your version of “man’s best friend” is as cute and lovable as you do, but I will manage just fine (unless precious bites at my pant leg). I am at your house. So, I ask for the same consideration at my house. It is already three-against-one and sometimes I find myself wavering, so I could use the help. And besides, isn’t there a Bible verse somewhere stating that God intended for dogs to be outside? Next week (July 29-August 3), Christians from the countries of Lithuania, Latvia, Estonia, Poland, Germany and the USA will gather at Camp Ruta in Moletai, Lithuania for a week of worship, fellowship, study, strengthening, prayer, fun and games. Including kids there is a total of about 90 scheduled to participate in our second such camp. Join me in praying for a week of God’s blessings! P.S. For pics from this camp click here. Just Want to Say, Thank You. Occasionally a preacher’s life can become difficult because of the job. I have had a few moments like that over the years. Some I created. Some other’s instigated. I have heard all of the lame preacher’s jokes, but hardly ever were they delivered mean-spiritedly. I can only remember a few times when I took them personally. In reflection, whatever difficulties I have endured have been more than overshadowed by love, support, understanding, encouragement, acceptance, and grace. The churches where I have served have overwhelmingly embraced me and my ministry– even in spite of my human weaknesses. God has provided me many FOPs (friend of preachers) along the way. What blessings and joy I have received throughout my ministry! Now, I just want to say, thank you. I no longer have twenty-five verses in a sermon. Usually, I concentrate on trying to teach one text. Not only is this easier for the listeners to process, the value of stopping to unpack one section of Scripture is tremendous. I try to go into Bible study unfiltered (I say “try” because this is never totally possible. We all bring along preconceptions to the study process.) Earlier in my ministry I quite frequently went to text to prove a point or reprove a doctrinal position. While reproving is still profitable when needed (see 2 Timothy 3:16) I no longer believe it should be primary in approaching Scripture. Now I do my best to let a text inform me (rather than me inform it) by spending time with it in context. It takes more time then the “concordance” approach I used to take, but it is so much more valuable. I no longer obsess over Sunday attendance or bang the congregation up over it. Sure, I still want as many as possible every Sunday, but instead of getting upset over who isn’t here, I rejoice over those who are. Attendance remains a gauge, but not the only or even primary one. Had I understood this earlier I would have spared myself (and my church) major grief! I finally figured out that what worked so well at that workshop speaker’s or famous writer’s church usually did not work so well at mine. There simply is no “one size fits all” church growth plan. I learned that God is much broader, bigger, more awesome, and encompassing than the little box I kept him in for a while. Along the way I constructed bigger boxes until finally realizing I had to throw them all away. Then I begin to see how truly little I am and how incredible it is that God has been mindful of me. I try to no longer take myself and what others say (positive or negative) as seriously as I once did. What I try to take more seriously is that whatever I do or say, I do it to please God and to his glory. More and more I embrace Paul’s approach to teaching and preaching and that being to simply preach “Jesus Christ and him crucified” (1 Corinthians 2:2). The scandal of the cross was his solution to the Corinthian situation and it remains central to redeeming our human condition. In the end it is that empty tomb that matters most. That is where I want to take people in my preaching. I cannot always say this has been so. Finally, I have discovered that the more I learn, the less I know. Although occasionally I long for the days when I knew it all. Life was easier then! I am reminded of this quote from Augustine: “The Bible was composed in such a way that as beginners mature, its meaning grows with them.” I do pray that my changes along the way reflect this. 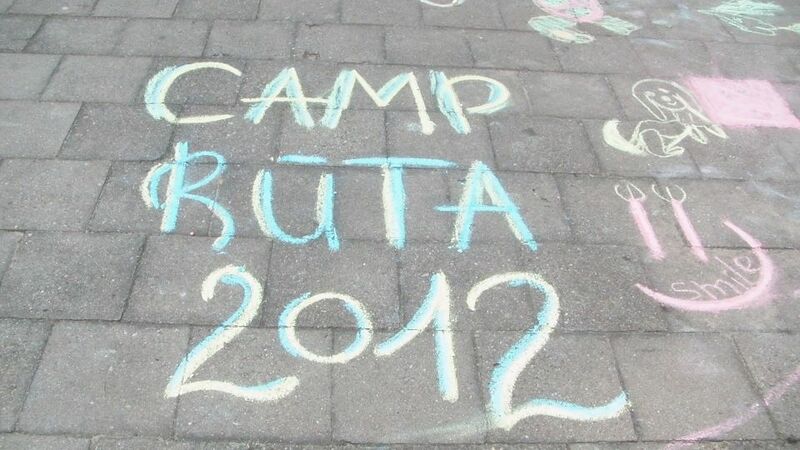 July 29 through August 4 was an amazing week to be at Camp Ruta in Moletai, Lithuania. 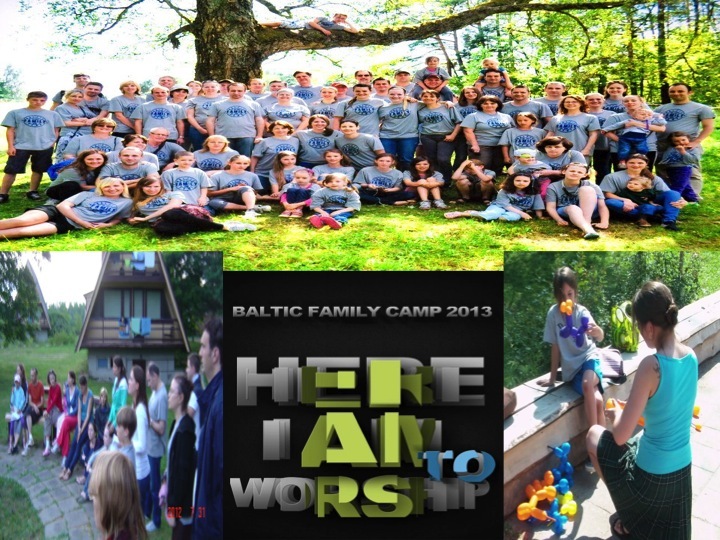 God brought together 71 people ages one to seventy-one from the countries of Estonia, Latvia, Lithuania, Poland, Germany, USA, Canada, Holland, and England for the first Baltic Family Camp. We were there to celebrate being one in Christ Jesus and to become better aware of the ministries of the Churches of Christ in this region. To say that God worked through this camp ministry to exceed all expectations is an understatement. It was such a joy to witness wonderful fellowship break out among the participants– all coming from different areas but sharing a common bond in Jesus. This camp which had been a dream among a few of us for years helped the Christians in the small churches in this part of Europe realize that they were not alone. One of the strengths of the camp was the incredible and in-depth teaching done by folks like Mark Abercrombie, a missionary from Leipzig, Germany who taught a class focused on the challenges of mission work; or Alan and Sherry Pogue of North Little Rock who as licensed professional Christian counselors shared with couples what God desires in their family; or from Joey and Melanie Griffin of Dallas who work for Eastern European Missions and taught the younger people at camp about how they could make a difference in their churches and communities. Other teachers in the daily men’s and women’s class equally challenged their students. The kid’s day camp led by Scott Jordan of Pensacola, FL and Andy and Lisa Gibson of North Little Rock also offered the children attending a delightful mixture of Bible instruction; fun and games; arts and crafts; and learning activities. What a joy it was for me to have my family there and to see other families enjoying this week together. Another blessing was our evening worship. Someone from each country had the chance to lead our worship thought each night. Hearing the songs sung in the different languages simultaneously was incredibly powerful and moving. The churches in this region are all small and scattered. The purpose of this camp ministry was to offer them a place to come together as one; become better acquainted with each other; learn from one another; and find encouragement in that fellowship. By God’s grace, I think this was accomplished. Please keep your brothers and sisters in the Baltic area in your prayers. 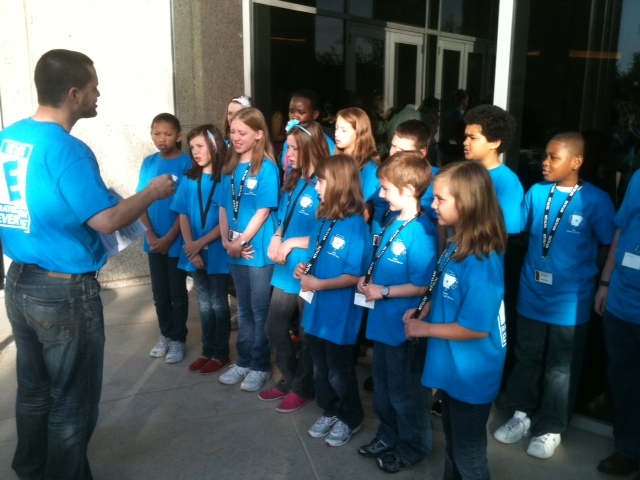 They are faithfully serving the Lord and striving to share his message to their cities. For more info and many photos of the week visit the BFC Facebook page. For almost a year I sat down. I stopped exercising and followed a horrible diet of junk and fatty food. I found ways to justify it- the move and new job; having surgery; the desk-time demands of my master’s program. The consequences have been predictable: some weight gain, huffing and puffing going up the stairs; and a general feeling of sluggishness. Yep, I sat down and it was tough getting back up. But I have. Already I feel better. So don’t neglect exercise. I knew better. I was the exercise guy. 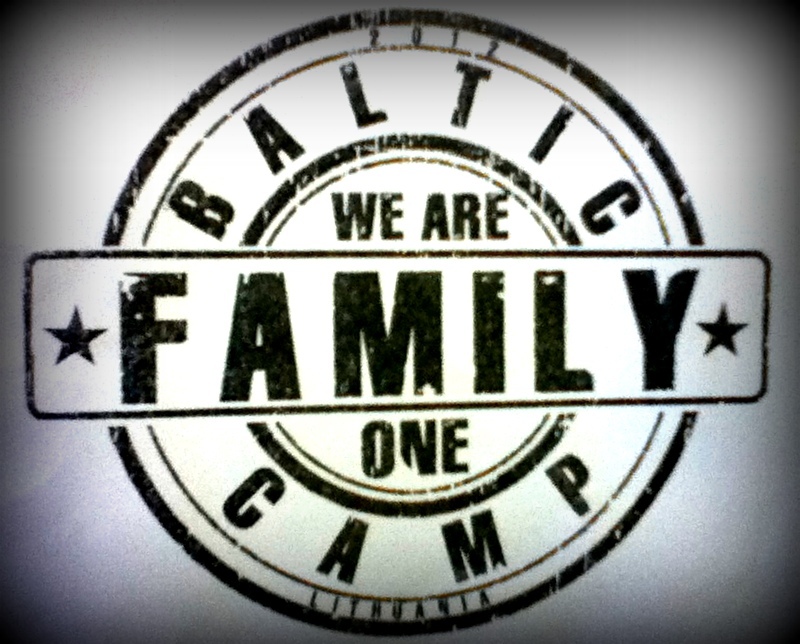 The Baltic Family Camp set for July 30-August 5 in Lithuania is shaping up, praise be to God. 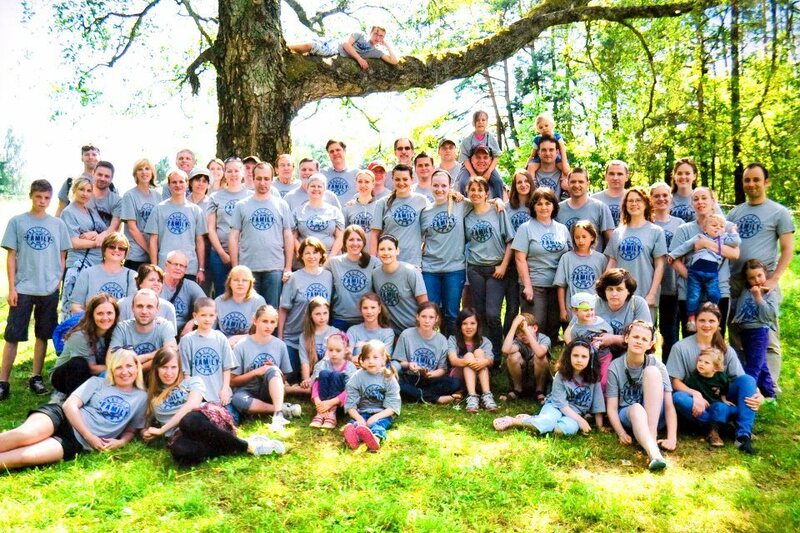 Our theme is “We Are One.” It will have a wonderful international flavor with Christians from Estoinia, Latvia, Lithuania, Poland, Germany, and the U.S. coming together at Camp Ruta. We have our schedule set including class topics and daily activities. Excitement is building. All four Dodds are scheduled to be there, God willing. Keep this effort in your prayers. Well, after all these years I finally earned my master’s degree. In was in ministry through Harding University in Searcy, Arkansas. I would recommend the MMIN program for anyone interested in expanding their educational and ministry experience. It is a wonderfully challenging and practical online program. It is the political season. If you are like me you continue to ask which is the best way for a Christian to engage politics. There are many different viewpoints concerning this. Here is an interesting one. I continue to appreciate the Levy church. I am enjoying my ministry here. Levy is truly an “organic” church where ministry grows from the grass roots. We recently hosted a Community Day in which nearly 500 guests enjoyed all kinds of activities. It was a blessing for all involved. It was my privilege to accompany a group from the Levy church to Dallas over Easter weekend to participate in the wonderful Leadership Training for Christ (LTC) annual conference. LTC is all about helping kids discover and use their gifts of ministry. 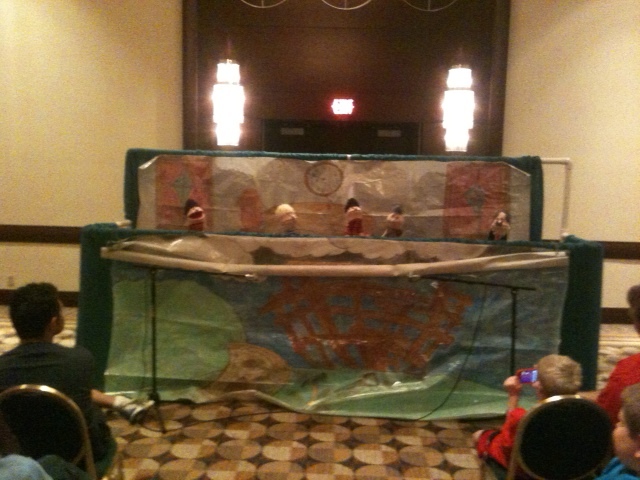 Kids from third grade through high school participate in chorus, puppets, drama, arts, speeches, Bible quiz, and more at the conference. The real work, however, is put in long before arrival at the conference. I witnessed first-hand the preparation with the Levy group with my daughter, Taylor. 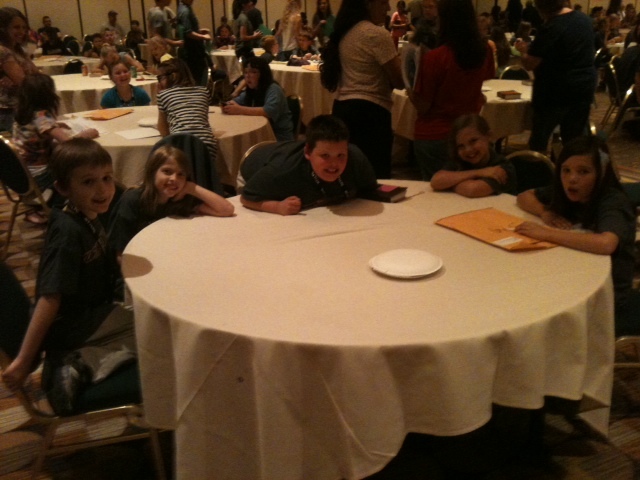 I am thankful for everyone at Levy who worked hard for LTC 2012! You are currently browsing the archives for the Dodd News category.